Celebrating all good things related to Martha Stewart. Martha Stewart sits for an extensive interview to share her thoughts about business and entrepreneurship. Colin Pope, the interviewer, says that, of the 20-plus interviews he’s taped, this one with Martha is the all-time most requested. The video is 45-minutes of pure Martha fabulousness. Enjoy! This is an entrepreneur who has amassed a reported net worth of $638 million as she built one of the world’s most recognizable brands, so I was eager to sit down with her last year and extract some business intelligence for aspiring entrepreneurs. The conversation ran the gamut — from mistakes made in her startup days to how she markets in the digital world. She got in a few laughs about her prison stay, but I was pleased to be a part of almost an hour of straight business talk from someone who rarely goes on about corporate strategy. In this video, a relaxed Martha is interviewed by Bravo TV’s Andy Cohen. (Yes, Martha dutifully answers the “Shag, Marry, Kill” question!) I’m alway amazed at how even-keeled and relaxed Martha is during interviews, given all the is going on at MSLO these days. After so many years in business, she seems well-equipped and able to weather ANYTHING that comes her way. Go get ’em, Martha! Fun stuff, right? Read Martha’s thoughts on the interview, and see photos, on The Martha Stewart Blog. 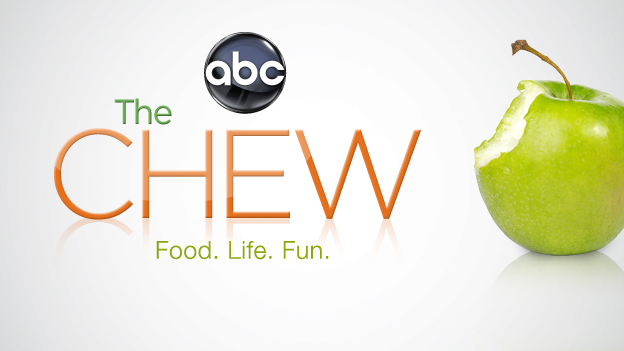 Heads up: Martha will be guesting for the first time on tomorrow’s episode of “The Chew” on ABC! She will be doing a baking demonstration during her visit to the show. On the huliq announcement page, there is a very thorough bio video on Martha. It’s always impressive to see Martha’s accomplishments presented like this–what a story! This Tuesday on ABC’s The Chew the iconic Martha Stewart will join the crew for the first time to share some fantastic baking tips and the show is featuring several other celebrity guests throughout the week. Martha stopped by NBC’s TODAY show and sprinted through several recipes from the new vegetarian cookbook, “Meatless”, published earlier this week. The cookbook looks like a nice healthy way to start the new year. FOMs: Have any of you purchased the new cookbook yet and tried any of the recipes? What do you think? Good news: Below are links to recipes from the TODAY show segment! Happily stick to those New Year’s diet resolutions by trying recipes from Martha Stewart’s new vegetarian cookbook, “Meatless.” Here, the kitchen maven makes an avocado, beet and orange salad, grilled asparagus and ricotta pizzas, and linguine with toasted almonds, parsley and lemon. Happy Thanksgiving everyone! Martha stopped by The Today Show to judge their Thanksgiving centerpiece contest. FOMs: Watch the video and let me know your thoughts about Martha’s decision. After beating out hundreds of other submissions, three viewer finalists compete to have their homemade Thanksgiving centerpiece named TODAY’s best by the queen of crafts herself, Martha Stewart. Martha stopped by NBC’s Today Show this morning to demonstrate how to prepare Chicken Fricasse. In this video, Martha shows Matt Lauer how to prepare the dish. As you can see, Martha is totally in “teaching” mode here, in advance of next month’s premiere of “Martha Stewart’s Cooking School”. If you want the recipe for Chicken Fricasse, you can visit NBC.com or pick-up the October issue of Martha Stewart’s Living, on newstands now. The magazine has several more photos of the recipe; its ingredients and its preparation. FOMs: Are you going to attempt this recipe? Seems perfect for Fall, right? Chicken fricassee is a classic French dish that relies on humble ingredients and has about as many variations as there are grandmothers in France. Here, Martha Stewart shows you how to make this chicken stew, which is traditionally served over rice, mashed potatoes or lightly buttered egg noodles. French comfort food: Martha Stewart’s chicken fricassee – food – TODAY.com. Martha stopped by NBC’s Today Show this morning for a demo on swirled desserts, or “Desserts with a Twist”. Recipes are featured in the August issue of “Martha Stewart Living” magazine, and are also available here. Note how Martha uses items from the Martha Stewart Collection at Macys, demonstrating her commitment to that relationship, even while the legal skirmish continues to work itself out in court. FOMs: Have you ever made a jelly roll, or a meringue, like those shown here? Now’s your chance! “Give it a swirl! Whether cake, cookie or even ice cream, dessert instantly looks more impressive when it does the twist,” says kitchen maven Martha Stewart. Follow her lead and make your own “swirl” cake by using her simple techniques. Here, Martha prepares a chocolate peanut butter tart, coffee meringue-ice cream cake, hazelnut-raspberry jelly roll and cherry gelee. Martha made a surprise appearance on the Today Show this morning, to act as judge for the show’s homemade birthday cake contest. Martha’s criteria for judging a cake’s success: 1) Creativity/originality; 2) beautiful design; and 3) taste. Later, she added that, of the three, taste is the most important. I love this segment: Martha, while friendly and encouraging to all contestants, takes the tasting and judging of the cakes VERY seriously. FOMs: How nervous would you be in Martha was tasting YOUR cake? I would freak! Surprise guest judge Martha Stewart selects a winner from three viewer finalists in the competition for the title of best homemade birthday cake in America. Surprise! Martha judges TODAY viewers’ birthday cakes – food – TODAY.com. Martha seems so relaxed in this delightful interview with Piers Morgan on CNN. In this clip, she discusses what she’d eat (and drink) for her last meal. Of course, we FOMs already knew that eggs were Martha’s favorite food, right? “What would you start with?,” wondered the host. “And the main course, what would you have?” he followed up. “That’s my main course,” she concluded. via Martha Stewart on choosing one final meal: “Probably good, fresh eggs…delicious salad from the garden” – Piers Morgan – CNN.com Blogs. Love this clip from Martha’s May 14 appearance on The Talk. Martha brought some goodies for the show’s hosts and dished on, of all things, rap music! Seems Martha is not only friends with many rap stars, but is a fan of rap music herself! In the interview, Martha claims that she herself cannot rap–but I ask you FOMs: Do ANY of us believe Martha couldn’t rap if she set her mind to it? I’m certain she’d be excellent! Martha Stewart visits The Talk’s New York studio and reveals her secret love of rap music: “I love Eminem, Kanye West & I tried rap with P. Diddy.” Go M-C Martha! via Martha Stewart Wants A New Eminem Album | The Talk – YouTube. According to Rolling Stone Magazine, Eminem has revealed that he is working on his new album just days after Martha urged him to do so! That’s right, Martha’s command over the rap world is slowly becoming evident. Martha speaks, Eminem jumps–that’s how she rolls! In all seriousness, Eminem has announced that he is starting to work on his first solo album since 2010’s “Recovery”; news that will no doubt please Martha, a fan of rap music. Martha Stewart: Hip Hop Star?